Last week I was given the incredible opportunity to interview BAFTA and Golden Globe winning actress Brenda Blethyn. There was some back and forth with the publicity department at Acorn TV to set up the details and before I knew it, I found myself actually speaking on the phone with an actress I have watched on the big and small screens in films like Little Voice, Secrets & Lies, and Pride and Prejudice and, of course, her current popular TV mystery series, Vera. I can honestly say I haven’t been this excited about a phone call since I was a teenager and a boy I had a crush on called me out of the blue. I was smiling and laughing the whole time (Brenda has quite an infectious laugh, in case you didn’t know) and I packed as much as I could into the fifteen minutes granted to me. Let me tell you, after five series this lady knows her character. She cited information from Vera’s backstory, knew her work and life philosophies by heart, and even talked at length about DCI Stanhope’s appearance and wardrobe choices. And despite that fact that some of these episodes were made well over four years ago, Brenda remembered a minute detail from a scene to illustrate the point she was making about Vera’s rapport with children. But what impressed me most about Ms. Blethyn was her generous praise for colleagues with which she has worked. From her Vera cast and crew to directors and co-stars on various films we discussed, she had nothing but the warmest admiration for her fellow collaborators, both in front of and behind the camera. CC: What was it like to work with Nicolas Cage [who directed her in the film, Sonny], one word? BB: Aw, it was great! What a lovely man, he was fantastic! He was so kind and generous. We all know he’s a terrific actor, but I liked working with him as a director too. Just gorgeous. CC: Well, my son will be very happy to hear that. BB: Oh really? Does he know Nic? CC: No, he’s just a huge Nicolas Cage fan. BB: Well, I loved working with him and he bought me a beautiful wristwatch when the job was over. There you have it- the key to many a woman’s heart is a nice piece of jewelry and Brenda is no exception. If you’d like to read my entire chat with Brenda Blethyn, click here. 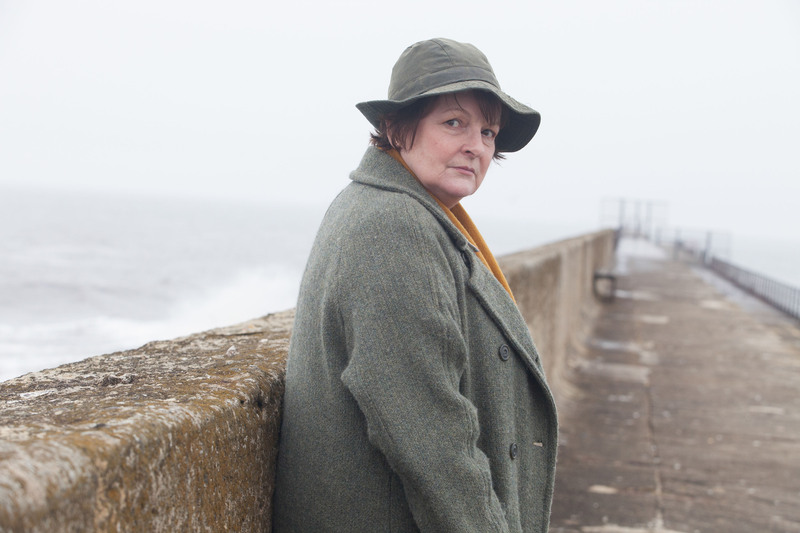 If you’d like to check out Vera for yourself, you can find it on Acorn TV including new episodes each Monday in July. Some PBS channels are also airing series five this month so check your local listings. You are SOOOOOOOO lucky. Well, actually, that’s not true. You deserved this opportunity, but I’m glad you really enjoyed it! Thanks Kym! It was so much fun. I could interview people as nice as Brenda all day everyday. She was a delight!